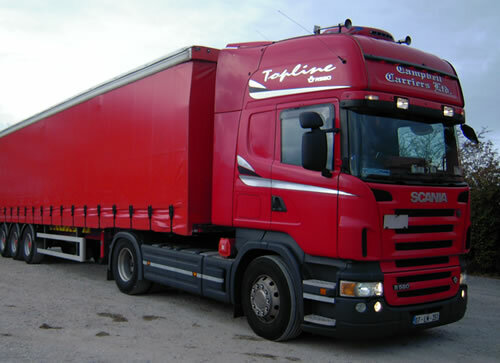 Curtainsiders are the industry standard trailer. They feature a fixed front, fixed roof, rear doors and side curtains which slide open. They can be loaded from the side and through the back doors. Depending on the specifics of the load, a Twin Deck Refrigerated Trailer can offer great benefits over a Standard Single Deck Trailer, as it creates space for up to twice the number of pallets in the refrigerated box within only a few minutes. 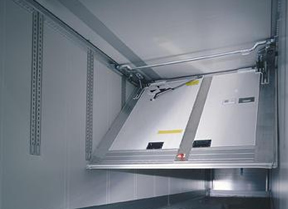 Equipped with 2 evaporators, one in the front and one in the back of the refrigerated box and a movable dividing (split-) door, this system offers us the ability to split the container into two refrigerated compartments of variable size. This enables us to transport loads at 2 different temperatures, whether this means to cool one compartment and freeze the other, or even refrigerate/freeze one compartment and heat the other. All our refrigerated trailers are equipped with temperature recording devices which enables us, not only to call up the temperature recorder data in the refrigerated unit at any time and to archive it, but also to immediately forward it to the customer, if required. 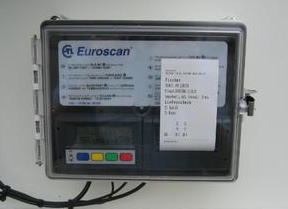 The printer in the fridges gives temperature reports at loading and delivery points and also accompanies our invoicing documentation together with the CMR and delivery docket.